Rick And Morty Season 3 has been absolutely killing it -- giving fans everything they want, from the resurrected Phoenix Person to Summer throwing down in a post-apocalyptic wasteland. 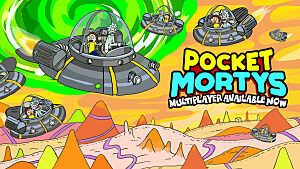 For those who missed the cosmically awesome memo: every single week that a new episode of the show airs, Pocket Mortys will get a brand new update with additional Ricks and Mortys to play in multiplayer and the single player campaign. 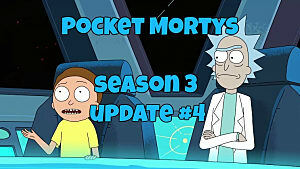 After Lawyer Morty from Season 3 weekly update #1 and Wasteland Morty from weekly update #2, this week's episode gave us something we've been waiting a long, long time for: Pickle Rick. As a bonus, it's even more fun to shout loudly at random times than Tiny Rick! Of course the upgraded Rat Suit Rick is also now available from Salesman Rick's, as well as Sunday Best Summer ready for some serious therapy and the intergalactic assassin Jaguar. Yeah, this show gets weird. 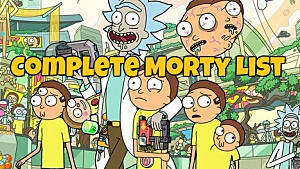 Last week it seemed at first that Wasteland Morty was the only new addition. But then...BAM! 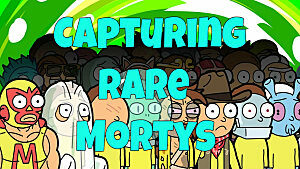 Out of nowhere we got the limb-possessed Giant Arm Morty as well, leading us to believe there would be two new entries to be found in Mortopia somewhere. 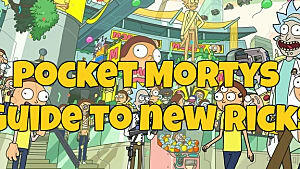 As it turns out, that wasn't the case, and we vastly underestimated what was happening on the new Morty front. 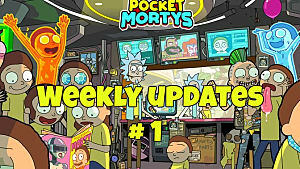 Instead, this week's update gives us a whopping five new Mortys! Hug, Provoke, Machine Wash, Wear Down, Smooch, Pout, Wedgie, and Recitation. 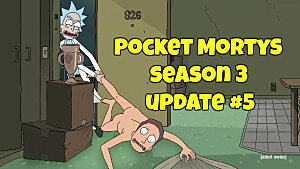 Next up is a proper three part Morty evolution, which has been missing from recent updates. 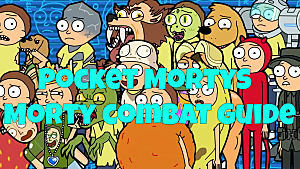 Mortys #206 - 208 are the scissors types Cucumber Morty, Pickle Morty, and Pickled Morty. 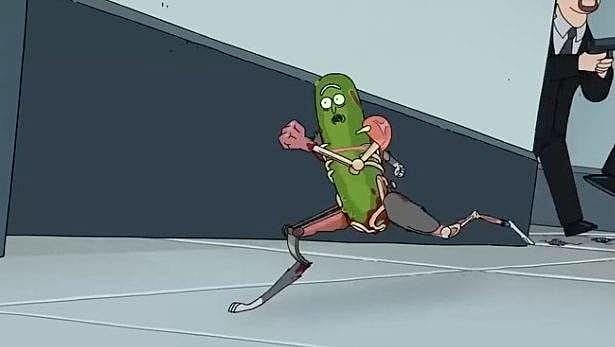 Encrust, Bunch Up, Sprout, Flail, Salivate, Swing, Harden, Transplant, Regenerate (Pickle Morty and Pickled Morty), and Mind Meld (Pickled Morty). Fur Ball, Drool, Slam, Strengthen, Ouija, Wrangle, Rush, Grab, and Golden Touch. 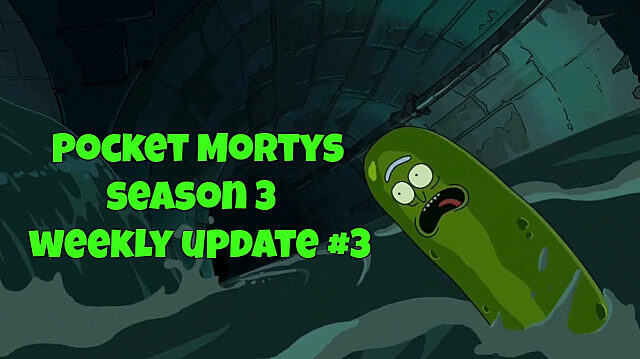 If you haven't caught up to the show yet (and shame on you, by the way) you can catch the latest Rick And Morty season 3 episodes via the Adult Swim website. 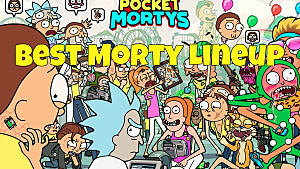 Let us know when you manage to snag these new Mortys, and be sure to check out our full Master Morty List to see what each Morty does and where you can find them.